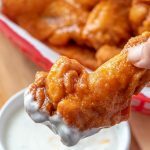 Classic Buffalo Chicken Wings are finger-licking, lip-smacking appetizers you’ll love for game days or parties. 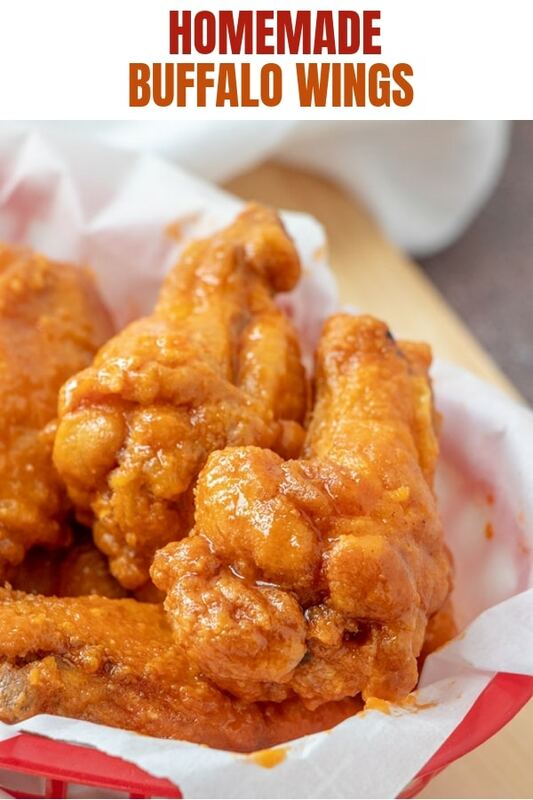 Crispy and saucy with a healthy kick of heat, they’re seriously addicting! Now that the football season has officially started, we’re all about tasty appetizers here at home. 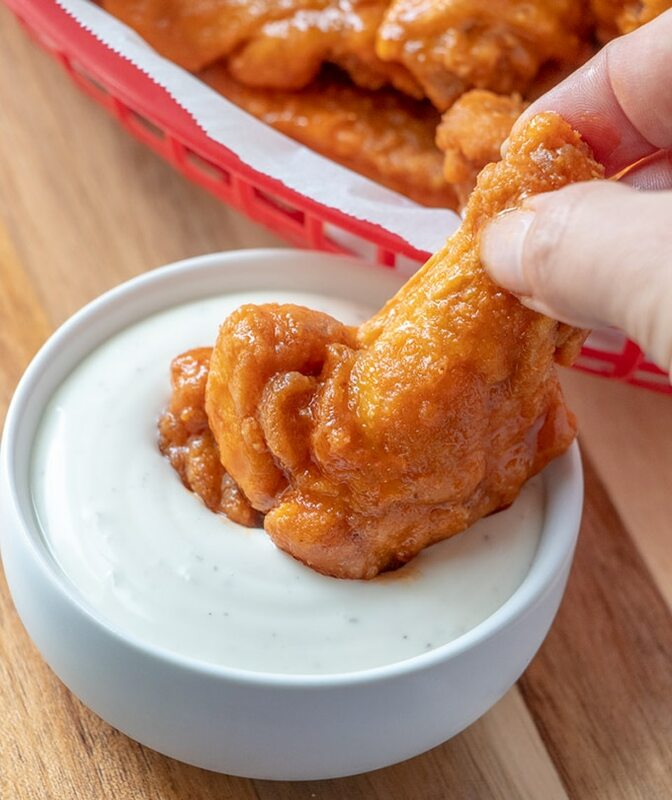 We love to have friends and family over for game day night so often times, I’m in the kitchen up to my elbows prepping all sorts of finger foods. 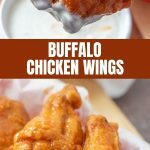 Sliders, dips, and jalapeno poppers are regular staples in our get-togethers but I have to say, classic buffalo wings are what I always make a big batch of. G and I alone can turn five pounds of drums and flats into bare bones before you can say chicken wings twice and counting guests, these babies are gone in minutes seconds! 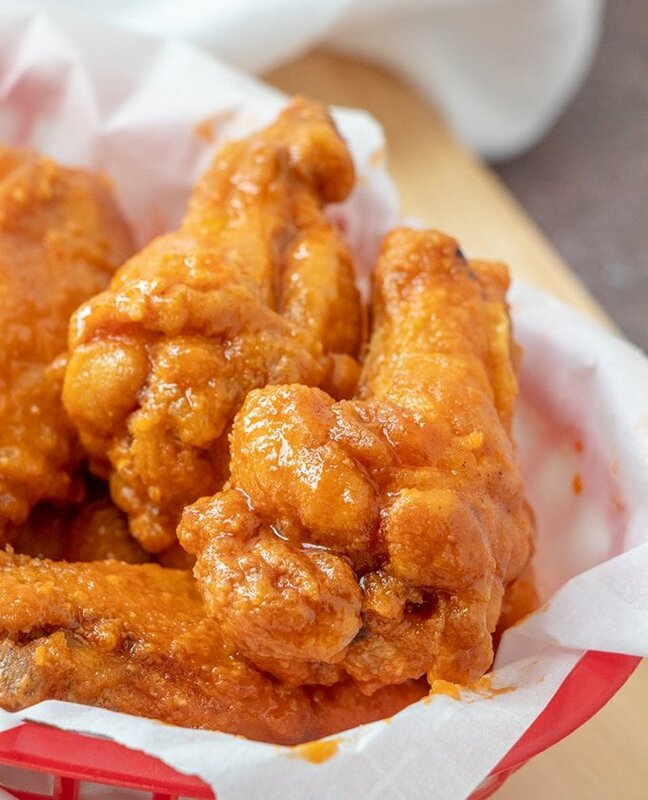 Buffalo wings are made in three simple steps. They are first dredged in seasoned flour, deep-fried in hot oil until crispy, and then coated in a buttery, spicy sauce. 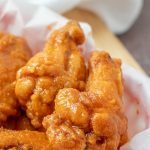 Although the chicken wings are traditionally fried, baking in the oven, slow cooking in a crockpot or grilling over hot coals are great alternative methods. Pressure cooking is also another option; it’s a quick and easy way to enjoy this classic appetizer in minutes! 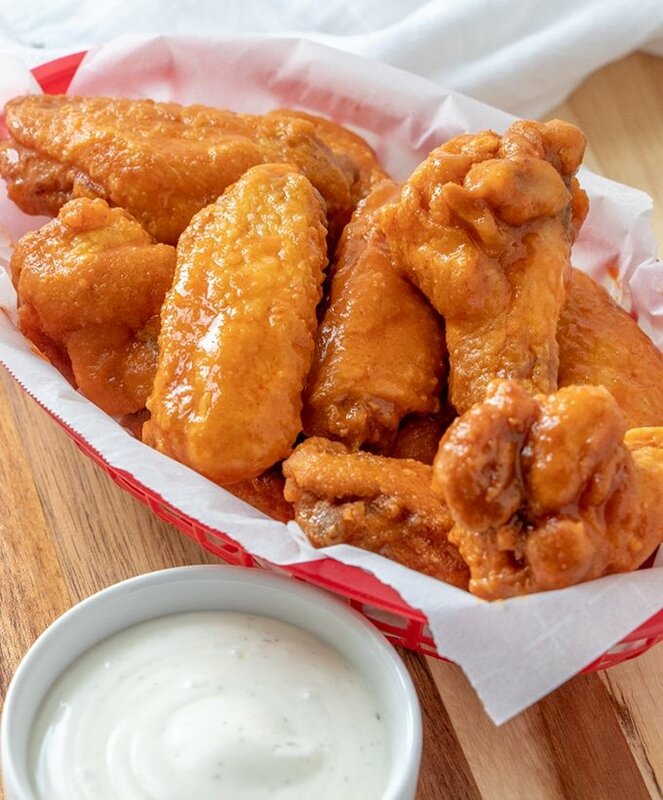 Commercial wing sauce is readily available at most major grocery stores but why buy it when you can easily make homemade buffalo sauce? It takes a few minutes to make and you can control the amount of heat to suit personal tastes. 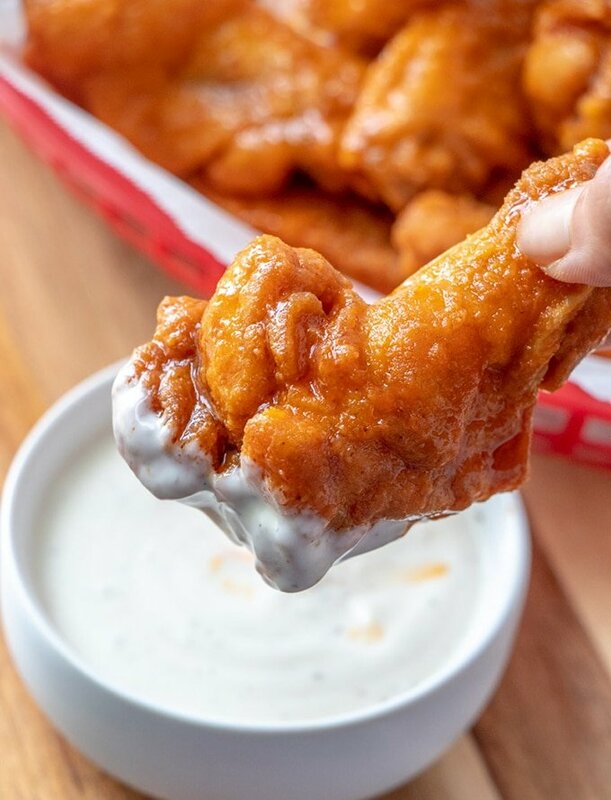 The authentic buffalo sauce recipe you’ll find right on the bottle of Franks’ Red Hot has only two ingredients which are melted butter and the hot sauce. 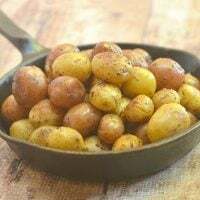 You can, of course, tweak the basic sauce as you like by adding Worcestershire sauce, vinegar, garlic powder, cayenne pepper or your favorite blend of spices. Pat the wings well before coating with flour as the extra moisture will keep them from crisping up nicely when fried. 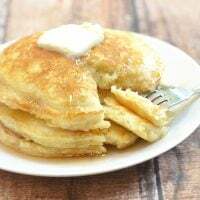 Use oil with a high smoke point such as grapeseed, canola or safflower. Make sure the temperature of the oil is at an optimal range of 350 to 375 F degrees. Too low, the chicken will absorb a lot more grease and too high, the breading will brown/burn before the inside is thoroughly cooked. Do not overcrowd the pan. Fry in batches as needed and bring the temperature back to 350 F before adding the next round. 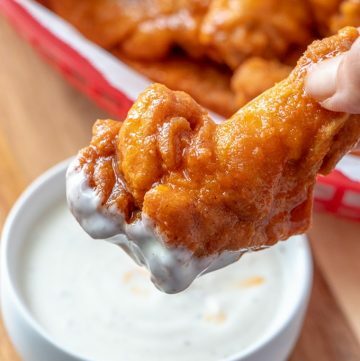 Drain the fried chicken wings on a wire rack set over a baking sheet to catch drips instead of on paper towels as the escaping steam might make the chicken soggy. Add more butter if you like the sauce less spicy or increase the amount of hot sauce if you want a bit more heat. 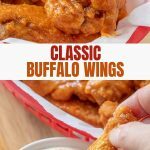 I hope you give this homemade buffalo wings recipe a try. Complete the finger-licking, lip-smacking experience by serving with sides of celery and carrot sticks and ranch or blue cheese dressing. Enjoy! 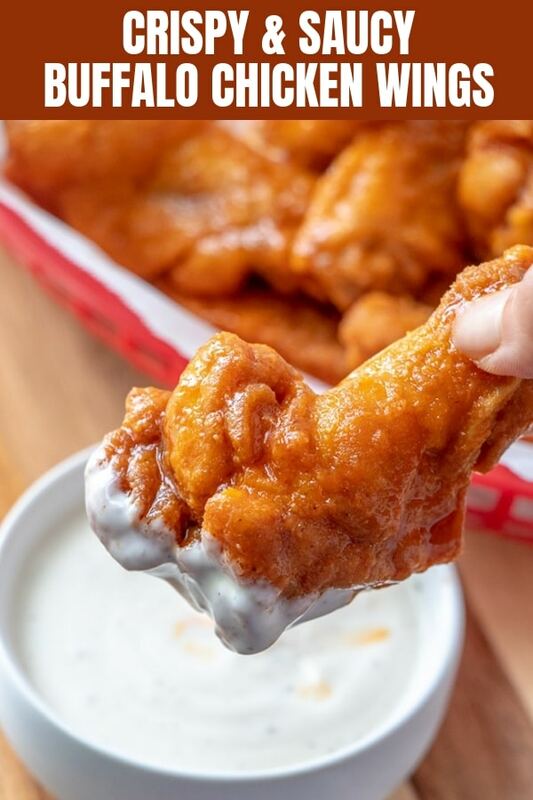 Classic Buffalo Chicken Wings are finger-licking, lip-smacking appetizers you'll love for game days or parties. Crispy and sauce with a healthy kick of heat, they're seriously addicting! Thank you, Jo, for the visit and the encouragement. I spent the whole night reading all your content at Tipsforfoodbloggers.com…very informative! Yum! That sounds delicious. 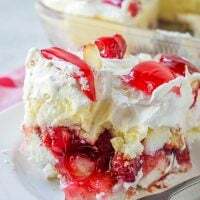 I cant wait to make this. 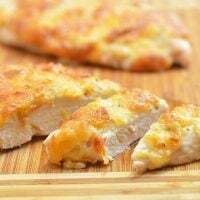 Thank you so much for this awesome recipe! Yes, they were delicious! Have fun cooking them at home.